Which Path Will the Youth Climate Movement Take? Too Big To Fail? Too Big, Period. When you peddle a product that blows the tops off of whole mountains, is the leading contributor to global warming and toxic air pollution, and is facing an increasingly effective grassroots and legal assault, what are you to do? Well, apparently what you do is dress up your ugly product in cute Christmas garb, pen some songs to the tune of favorite seasonal carols, and then sit back and wait for the public to rush to your side. At least that's the apparent logic behind the coal lobby's new "Clean Coal Carolers" web page, (and FaceBook group) where - I'm not making this up! - you can dress up little, floating, anthropomorphic chunks of coal in scarves and ear muffs and have them sing versions of your favorite carols, brazenly updated to shill for the mythic "clean coal" the industry is peddling these days. "Silent Night" is now "Clean Coal Night" and "Frosty the Snowman" is the "portable and adorable" "Frosty the Coalman." 3.7 million tons of carbon dioxide. Carbon dioxide (CO2) is the main greenhouse gas, and is the leading cause of global warming. There are no regulations limiting carbon dioxide emissions in the U.S.
10,000 tons of sulfur dioxide. Sulfur dioxide (SOx) is the main cause of acid rain, which damages forests, lakes and buildings. 10,200 tons of nitrogen oxide. Nitrogen oxide (NOx) is a major cause of smog, and also a cause of acid rain. 500 tons of small particles. Small particulates are a health hazard, causing lung damage. Particulates smaller than 10 microns are not regulated, but may be soon. 220 tons of hydrocarbons. Fossil fuels are made of hydrocarbons; when they don't burn completely, they are released into the air. They are a cause of smog. 720 tons of carbon monoxide. Carbon monoxide (CO) is a poisonous gas and contributor to global warming. 125,000 tons of ash and 193,000 tons of sludge from the smokestack scrubber. A scrubber uses powdered limestone and water to remove pollution from the plant's exhaust. Instead of going into the air, the pollution goes into a landfill or into products like concrete and drywall. This ash and sludge consists of coal ash, limestone, and many pollutants, such as toxic metals like lead and mercury. 225 pounds of arsenic, 114 pounds of lead, 4 pounds of cadmium, and many other toxic heavy metals. Mercury emissions from coal plants are suspected of contaminating lakes and rivers in northern and northeast states and Canada. In Wisconsin alone, more than 200 lakes and rivers are contaminated with mercury. Health officials warn against eating fish caught in these waters, since mercury can cause birth defects, brain damage and other ailments. Acid rain also causes mercury poisoning by leaching mercury from rocks and making it available in a form that can be taken up by organisms. Trace elements of uranium. All but 16 of the 92 naturally occurring elements have been detected in coal, mostly as trace elements below 0.1 percent (1,000 parts per million, or ppm). A study by DOE's Oak Ridge National Lab found that radioactive emissions from coal combustion are greater than those from nuclear power production. For more information on coal, go to "How Coal Works." And regardless of how incrementally cleaner burning coal gets, you'll still have to dig it out of the ground, a process that will never be clean. 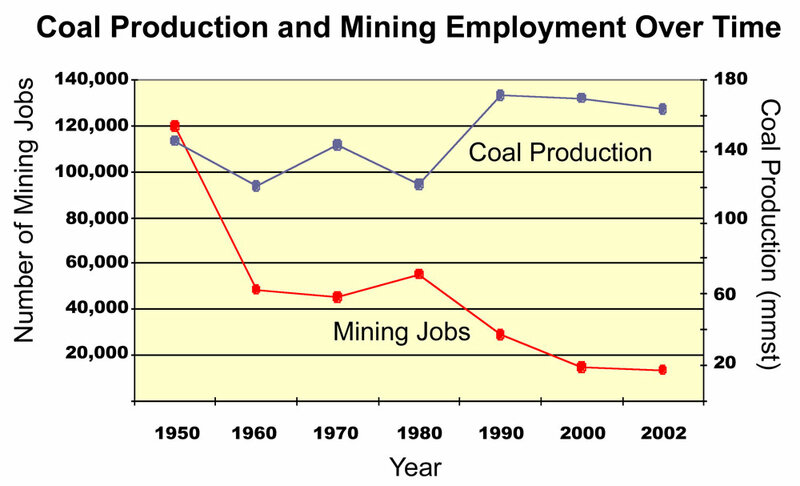 And now, more and more coal is being mined through the process known as mountain top removal, which blows the tops off of entire mountains in Appalachia and dumps the remains onto streams and valleys to get at the coal underneath - a process that destroys ecosystems, communities and coal mining jobs, which are replaced by the less labor intensive (and more explosives intensive) mining practice. ...it'll NEVER be anything close to "clean," and to use the Christmas spirit to peddle lies is about as dastardly a move as you'd expect to see coming from industry front groups. Check out Coal-Is-Clean.com/Coal-Is-Dirty.com, ThisIsReality.org, and ILoveMountains.org for the truth on coal.